Earlier this month the New Republic did something rather brazen: it published an article attacking a book that the author freely admits he did not read. In the piece, outspoken atheist Jerry A. Coyne claims that he is not impressed by David Bentley Hart’s new book, The Experience of God and amazingly, without having read the work, he concludes that Hart’s thesis is “meaningless”. Now, I have not read Hart’s book either, but I have studied enough philosophy to know that the main idea Coyne finds so opaque—that “God is the condition of the possibility of anything existing at all”—is one of the oldest and most venerable notions of God, arguably going all the way back to Plato, and traditionally believed to be reflected in Exodus 3. It is certainly not meaningless, even if great minds have disagreed about it. However, it is not so much Coyne’s bald contrariness that I am interested in, but rather the contrast he draws between the “Sophisticated Theologians”, to use his derisive term, and the mass of ordinary theists who believe in a “anthropomorphic entity”—a sort of Zeus-like being, on his account. He picks up on this from an article by Oliver Burkeman in The Guardian which challenges atheists to engage with real theology (particularly Hart’s book) rather than picking on the unsophisticated faith of ordinary people. But whereas Burkeman takes the issue seriously, Coyne dismisses the God of the Sophisticated Theologians as a ruse that makes use of big words and philosophical jargon to argue for something unprovable. Throughout, there is a presumption that the God of “sophisticated” theology is something quite distinct from the God of ordinary believers. But I do not think that such a disconnect necessarily obtains. One can know a lot about something in a common-sense sort of way while being uneducated in the theory of the thing: you don’t need to be an aeronautical engineer to know that aeroplanes fly. Even on topics that about which we often presume widespread theoretical knowledge, the reality is often closer to that of this girl. Take, for example, atomic theory. Most people learn in school about atoms, but the popular idea of what an atom is—a tiny ball, or perhaps if one remembers one’s school days, of tiny negatively charged balls orbiting a tiny positively charged ball—is far removed from actual atomic theory. In quantum mechanics, the “planetary” picture of an atom is about as close to reality as Horrid Red Things are to the chemistry of poison. 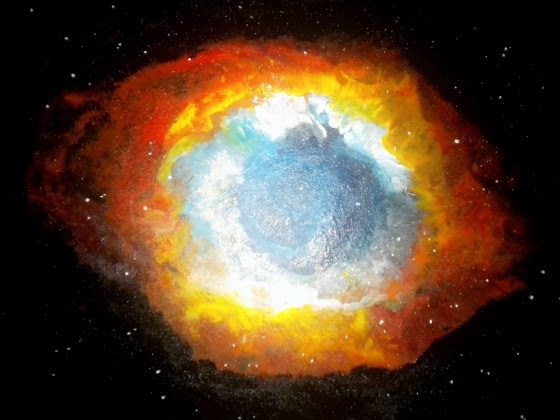 However, the popular notion of atoms is not really disconnected from the actual theory: most people know that physical substances are made up of tiny atoms, and they are quite right. Of course, if you were to scrutinise the average man on the street about atoms, you would probably soon embarrass him; and yet you wouldn’t then conclude that atoms do not exist. You would go to an expert and figure out which parts of the average man’s atomic theory were right and which were simply helpful, but ultimately misleading, picture-thinking. Moreover, if the expert explained to the average man where his notions were mistaken, the latter would likely take his word for it, rather than try and defend his less educated ideas. It seems to me that the same can be said about religion. Most believers do not have the time or luxury to study the theory of faith, which is theology. Most believers would not tell you that God is the unconditioned ground of contingent being if you pressed them for a definition of who he is. Most of us (theologians included, I dare say) have certain picture-thinking notions of God that are helpful for knowing him to varying degrees but are ultimately inadequate to his infinity. Some critics of atheism have drawn an analogy to particle physics, saying that only a tiny fraction of physics-friendly laypeople really understand what physicists are saying about stuff like cosmic inflation or string theory. Therefore, if only a few professional physicists know what they’re talking about, then only the Sophisticated Theologians™ know what they’re talking about. But this analogy fails, for theologians aren’t any better armed to perceive the “truth” about God than is any reasonably intelligent layperson. There is no possible training that can give you more expertise in discerning the True Nature of the Divine. Further, even the Sophisticated Theologians™ disagree among themselves about what we know and what we don’t—disagreement you won’t find among physicists. This is blatantly false. First of all, there is plenty of vigorous debate about both cosmic inflation and string theory in the physics community. Even in the well-established atomic theory, there is no consensus on exactly what quantum mechanics represents about the atom: interpretations of quantum mechanics abound. In fact, many of the points of contention among physicists on such topics really come down to philosophical interpretations rather than the raw results of empirical method. Secondly, Coyne begs the question when he claims that “there is no possible training” for learning about God. Just because God cannot be studied with scientific empiricism doesn’t mean that he cannot be studied: nothing in the scientific method proves that other methods of knowing are invalid. The degree to which God can be known is a philosophical and theological question, not a scientific one. But I digress. The main point I wanted to bring forth is that there is a whole spectrum of notions about God, from the most simple worshipper to the most intelligent theologian, but they are notions about the same God. There need not be a chasm between an unsophisticated faith and a theoretical grasp of God as the unconditioned ground of being. The one trained in theology is better equipped to give apt and precise definition to the content of faith, but he worships the same God as the person in the pew next to him on Sunday—and is not necessarily any holier. In fact, the real flaw in the analogy with scientific knowledge is that the person of simple faith is much further ahead than the person of simple atomic notions. For the faith in God that really matters is a grace given by God himself, and he is reportedly most generous with those who are poor in spirit and humble of heart. I haven't invested much time in following these discussions around Hart's book (though I have read the book), but the general impression I get is that a number of atheists are interpreting his more philosophical portrait of God as an evasion, a kind of thin remnant that remains after the usual view of God beats a hasty retreat before the vanquishing atheist hordes, or even a desperate invention designed expressly to evade the force of atheist arguments. There's little appreciation that this is old theology that is and has been central to our tradition for a long time. If only I had the leisure to disabuse the whole internet of this mistaken view of things. I do wish that I had a better understanding of classical theism -- not so much the claims, but the rationale for the claims. But, as you say, it is all rather tangential to the main question of holiness. Thanks for this comment, Craig—I like the way you've articulated the situation in your first paragraph. (“A kind of thin remnant” is a felicitous turn of phrase). I wouldn't say that understanding faith is necessarily “tangential to the main question of holiness”. The Church needs good theology if she is to be effective in her role as the sacrament of salvation. But good theologians are, it seems to me, first of all holy people. As for your desire to set everyone on the internet straight, you will relate to this. Thank you, Adam, for your gentle defense of the poor in spirit and the humble of heart.